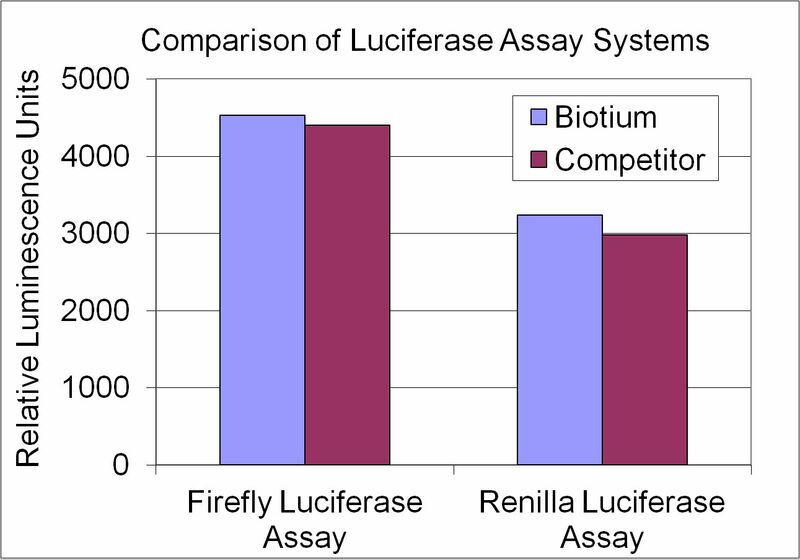 The Firefly Luciferase, Renilla Luciferase, and Dual Luciferase assays are flash-type assays for single sample luminometers or luminescence plate readers with sample injection systems. 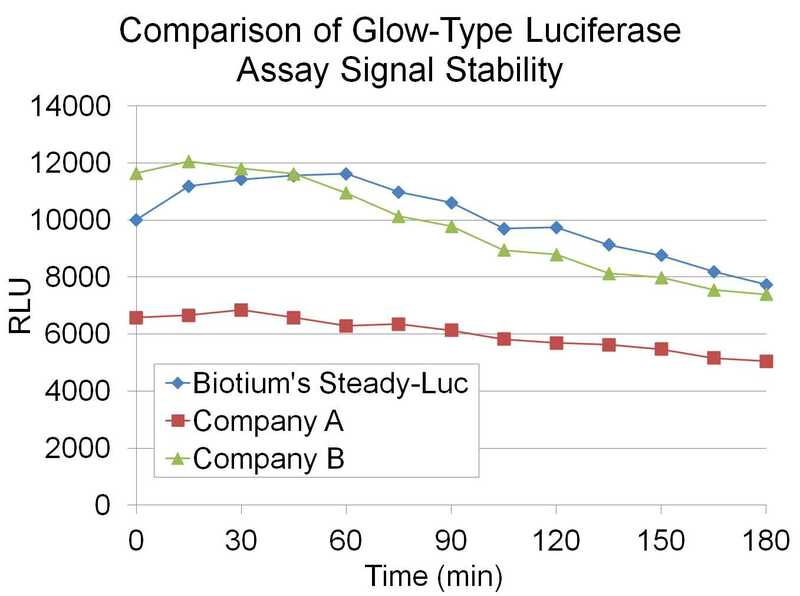 The Steady-Luc Assay is a glow-type assay with a luminescence half-life of about three hours. The Steady-Luc kit can be used with luminescence plate readers without sample injection systems or for high-throughput screening. Lyophilized kits have assay buffers provided as lyophilized solids, for room temperature shipping and convenient storage. 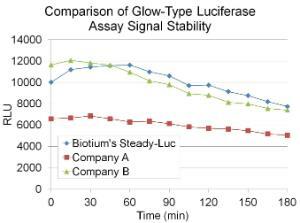 The Steady-Luc Assay is a glow-type assay with a luminescence half-life of about 3 hours. The Steady-Luc kit can be used with luminescence plate readers without sample injection systems or for high-throughput screening. Lyophilized kits have assay buffers provided as lyophilized solids, for room temperature shipping and convenient storage. 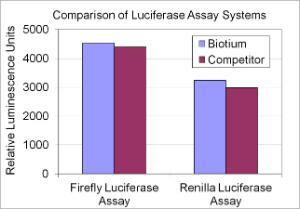 Ordering information: Biotium also offers catalog number ATP-Glo™ Bioluminometric Cell Viability Assay (catalog number 89138-938).